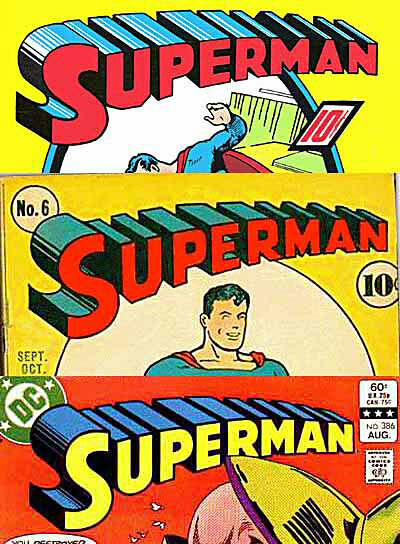 Todd Klein, a veteran comic book letterer and type designer, has assembled this list of comic book logos, ones that really have a place in comic history. Todd Klein is widely regarded as one of the greatest letterers in the history of comics, having worked in the industry since the mid-seventies on series ranging from “House of Mystery” to “Green Lantern” to Neil Gaiman’s “Sandman” and beyond. In addition to handling the lettering on countless story pages, Todd is also a bonafide logo and comic book cover designing guru, creating distinctive and acclaimed logos and cover layouts for the America’s Best Comics line of titles, “Fables,” “The New Teen Titans,” “Amazing Spider-Man” and many more.